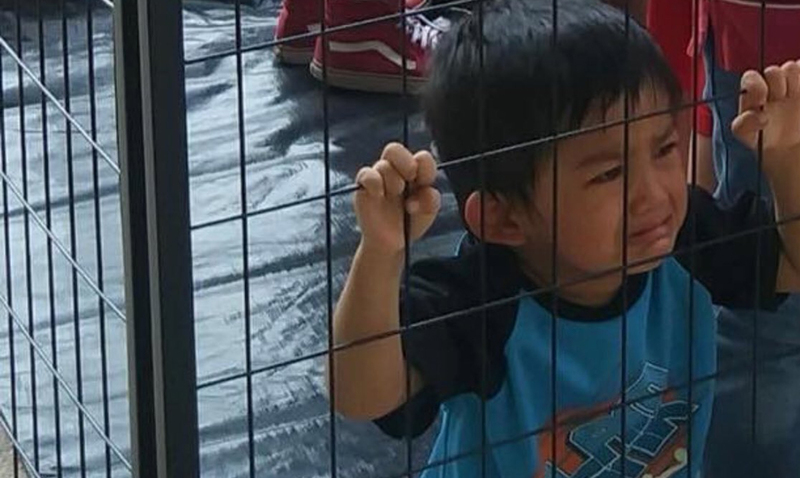 It’s a photo that can be seen all over the various social media platforms including Facebook and Twitter – an image of a young boy clutching the walls of a cage, staring through the bars in tears. With the ongoing debate and discussion regarding the ‘zero tolerance’ immigration policy currently being enforced in the United States, it is no wonder that this image tears at the heartstrings of those who come across it, connecting it with the many stories that are emerging of young children being separated from their parents upon reaching U.S. soil. It’s a debate that has swept the nation. Is the United States acting reasonably to defend its borders and protect itself against a potential threat, or are these actions a violation of human rights, terrorizing young children for no real purpose? In fact, the debate has been so heated that all five living first ladies have now come out publicly with their opinions on the matter, and they are a united front – voicing their opposition to the policy. First Lady Rosalynn Carter stated that the practice is “disgraceful and a shame to our country,” while Laura Bush refers to the actions as “immoral” and “cruel”. Unfortunately, when a debate like this becomes so heated and controversial, even the smallest inaccuracy can be incredibly harmful when trying to voice one’s opinion. You could write an incredibly well-worded and educated response to the situation, raising serious concerns and stating facts to back your opinion, but if even one of those facts isn’t 100% correct those that oppose you will throw the whole response aside as being untrustworthy or ‘fake news’. This is where the concern lies with this specific image. While one can clearly see why the boy is mistaken for being a young immigrant boy detained by ICE under this new policy, that assumption would be taking the photograph completely out of context. While there is no way to prove when the photograph first surfaced, it gained noticeable attention when filmmaker and journalist Jose Antonio Vargas shared it with his followers on Twitter, captioning it with “This is what happens when a government believes people are ‘illegal.’ Kids in cages.” As of the time that this article was written the tweet had been shared 25,45 times and liked 37.781 times. The picture was connected with the ongoing debate regarding immigrant policies, it was actually taken during a protest organized by the Texas Chapter of the Brown Berets de Cemanahuac. 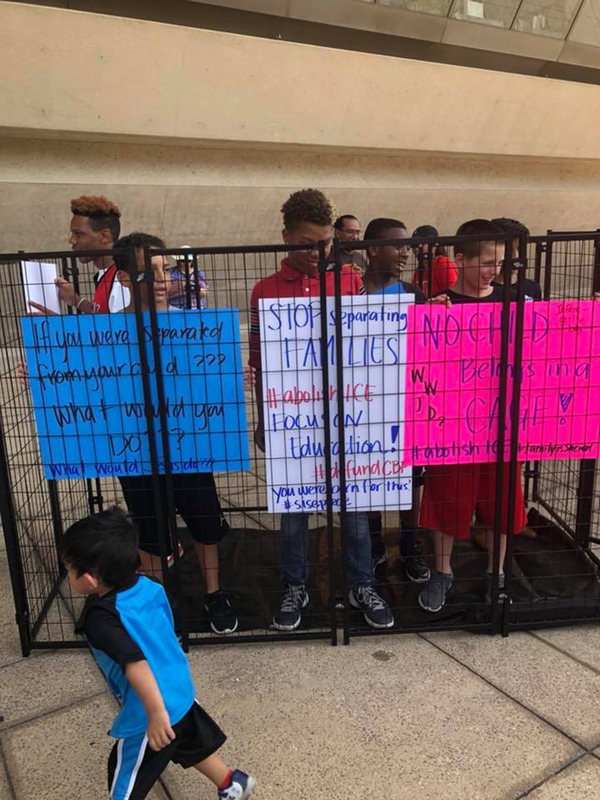 A group of teens were protesting outside in a cage, protesting the current treatment of children and families under the ‘zero tolerance’ policy. The teens were holding signs reading “NO CHILD Belongs in a CAGE”, “STOP separating FAMILIES #abolishICE Focus on Education!” and “If you were separated from your child what would you DO??? What Would Jesus Do?? ?” among other things. While the image may not be of an immigrant child, don’t let this detract from the ongoing situation currently happening throughout the United States. An article from NPR reveals that 2,342 children have been separated from their parents since early May, being held in detention centers. Reports from those that visit the site paint a grim and disturbing picture.